When you hear the phrase funky chairs, it’s likely you’ll picture retro designs from the 60s and 70s. But many of the iconic models that are so popular in interior design today date back much further than you might think. Though their designers were inspired by a variety of pioneering style movements from Neo-Futurism to Bauhaus, and span a range of different nationalities, all are united by their passion in creating innovative and unique furniture. Whilst many of the original chairs can be found on antique sites, replicas are increasingly available on the high street. "Furniture design is continually evolving for artistic and aesthetic reasons, but also to meet the demands of modern living. 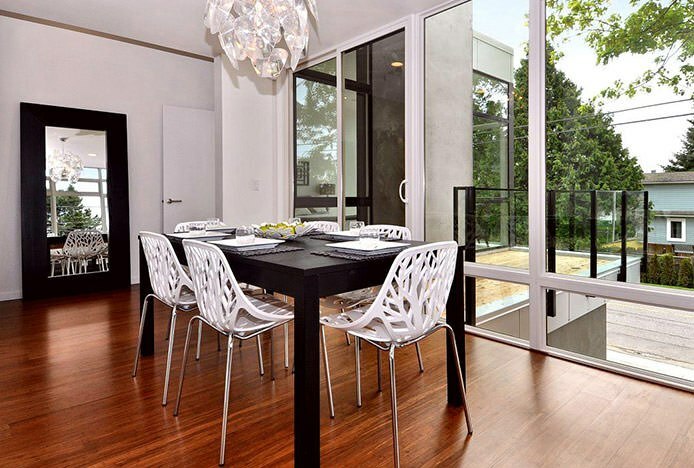 We offer a vast collection of good quality reproductions of these archetypal chairs, some of which are largely unchanged, whilst others have been given chic modern makeovers for state-of-the-art functionality." Your standard occasional chair found in homes and commercial establishments around the world, the tub is a small armchair design that has been around, in one form or another, for hundreds of years. The idea of the tub can be seen in its earliest forms in 18th century Europe, favoured in the palaces of the French King Louis XV. 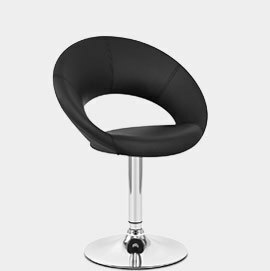 With a snug rounded shape, right from the word go its main purpose has been comfort. As upholstered furnishings were only available to the aristocracy of the time, it would have been a truly luxury piece crafted for the courtiers by master carpenters. 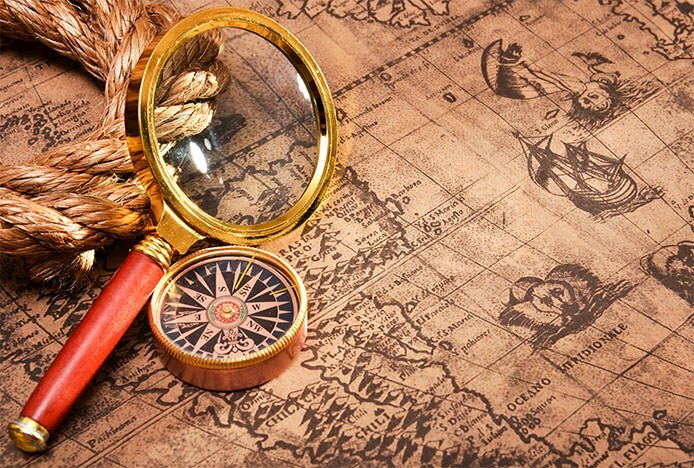 Though originally a European design, it soon crossed the Atlantic to the United States. Boston cabinetmaker George Bright was known to have experimented with early tub designs, producing small deep chairs in 1797 that were still a little way off the tub we are familiar with now. However it was Charles F Montgomery, an established writer on American furniture and interior design, who allegedly gave the tub its name. Stemming from the similarly shaped Club Chair, first found in gentlemen’s clubs in Northern Europe, comfort was key and hence a product was crafted to provide a cosy and relaxing seat. Today tub and club chairs can be found everywhere from pubs and coffee shops, to lounge or accent seating in the home. We offer our popular tub chair in several shades of fashionable faux leather, plus have some much-sought-after fabric models coming soon too. Another iconic product, the Barcelona chair was designed by German-American architect Ludwig Mies Van Der Rohe and German designer Lilly Reich for the 1929 International Exposition in Barcelona. 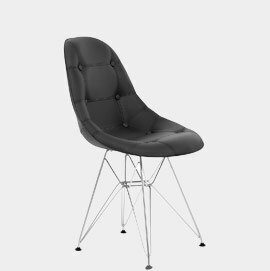 A prime example of how chairs have evolved with the times, its recognisable metal frame was originally bolted together before undergoing a redesign in 1950. For a simpler and smoother aesthetic, stainless steel was introduced instead to allow it to be sculpted from one single piece of metal. "Fusing modern materials with classical influences, the Barcelona was inspired by the criss-cross frame of the Ancient Roman Curule chair. By styling it around an upholstered stool used by the upper classes in Ancient Rome, they recreated a luxury seat sure to impress. Various leathers have been used over the years to upholster the Barcelona’s comfortably padded seat." 20th century American designers Charles and Ray Eames are the married couple responsible for a range of pioneering chairs that are still immensely popular today. From the 1940s onwards they started producing plastic and fiberglass furniture, the sort of which had never been seen before. With practicality in mind, they recognised the post-war need for a new kind of furniture that could be mass-produced and sold at affordable cost. Yet their iconic designs were also aesthetically innovative, the unique curved seat both ergonomic and comfortable. In 1950 they launched the iconic fiberglass side chair and armchair, initially created for an international competition for low cost furniture. Endlessly adaptable, they made a variety of eye-catching webbed frame designs that pushed the boundaries of traditional seating. 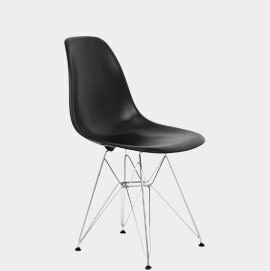 Always in demand due to their signature style, we sell a variety of Eames chairs with both the DSW wooden base and the DSR “Eiffel Tower” metal alternative. 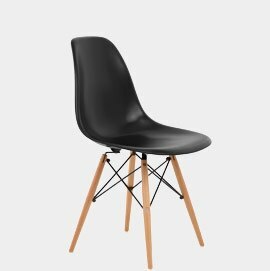 Illustrating the evolution of the Eames design, our collection includes everything from colourful plastic resin seats with satin or high gloss finishes, to plush padded models upholstered in trendy faux leather or patchwork fabric. 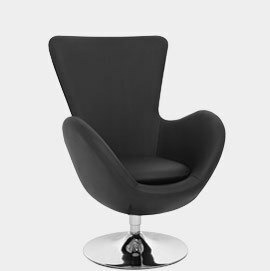 Undoubtedly one of the most popular funky models, the Tulip Chair was conceived by Finnish-American designer and architect Eero Saarinen. Launched in 1956 alongside the matching Saarinen table, his pioneering pedestal range of furniture was made for NYC design firm Knoll. Experimental for its time, it broke away from the norm of four-legged furniture and was one of the first pedestal chairs available. Recognised by its smooth petal-style shape, the Tulip was made possible by the use of fiberglass, an innovative material also favoured by Saarinen’s contemporary and collaborator, Eames. Both were influenced by post-war neo-futuristic thinking, an arts and design movement that sought to create modern furniture in response to the increase in modern, urban living. Yet the Tulip was thought so futuristic and space age at the time, it was featured on TV show Star Trek in the 60s. 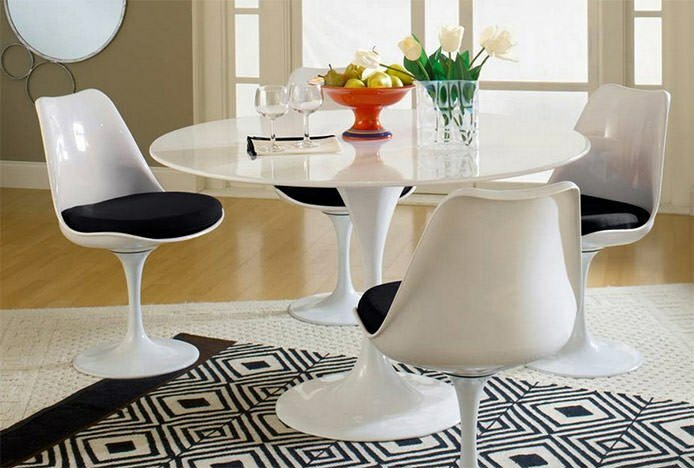 Danish designer and architect Arne Jacobsen presented the Swan and Egg Chairs in 1958. Crafted for use in the reception area of the SAS Royal Hotel in Copenhagen, both have lived on thanks to their distinctive curved seat shapes. Like with the Tulip, furniture design of the 50s was increasingly about producing fluid and organically formed seating. Breaking away from traditional straight lines, the Swan and Egg were pioneering in their shape, pushing the boundaries of what was expected of furniture. And all these years later, Jacobsen’s designs are still much sought after. Used in domestic and commercial venues alike, the Egg was notably featured in the iconic diary room in the UK’s first series of Big Brother. 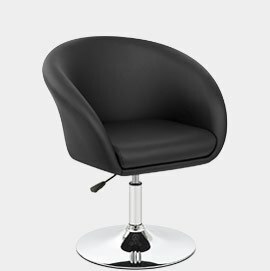 We sell both designs in colourful faux leather, however the Egg is now known as the BB Swivel Chair. With a metallic central column set on a four-pronged base, both were incredibly popular due to the 360 swivel and state-of-the-art functionality they allowed. They also influenced a wealth of other designers to produce similar pedestal models, for example the Overman Pod Chair. We sell many such retro replicas, such as the Seville and Clementine (both pictured below), well-liked for their accessibility and ease of use. Though incredibly recent when compared with the rest, the Sherwood Chair is still undeniably funky. A revision of the Vegetal created by French designers Ronan and Erwan Bouroullec in 2008, the brothers were initially inspired by the 19th century North American practice of shaping young trees into chair shapes over time. Aiming to recreate the intertwining branch design of natural vegetation, they sought to make a chair with a natural aesthetic, whilst still maintaining key traits like comfort. Whilst the Vegetal is entirely sculpted from recycled polyamide and has a muted matte finish, the Sherwood’s seat is crafted from high gloss resin. Illustrating how furniture is continually adapted to meet the practicalities of modern day living, it’s set on a metal frame with a polished chrome finish, providing ultimate strength and stability. 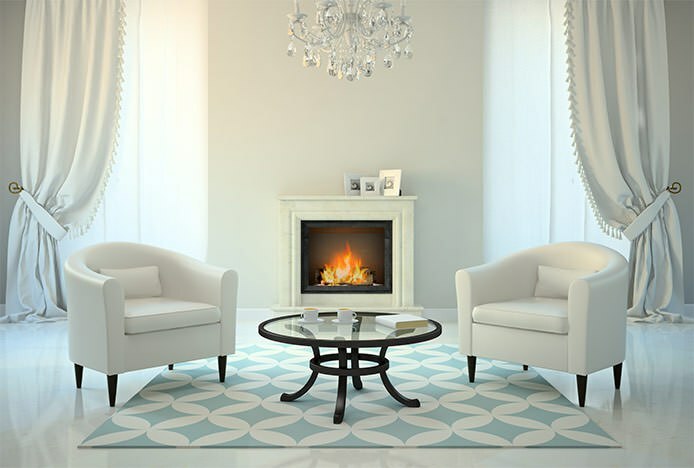 There’s no doubt that the furniture industry is constantly evolving. Our collection of retro funky chairs is always expanding to incorporate the latest trends, which more often than not are inspired by designs of the past. Fusing old and new they produce a range of top quality chairs that will inspire generations to come. From libraries to shops, discover six unusual places to use funky chairs..
We take a look at the benefits of funky chairs with or without legs..